Another $3 off Huggies Coupon – Where to use! 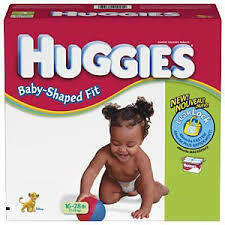 Huggies has released another high-value Huggies coupon – $3 off Huggies diapers. (Make sure you printed the one that come out yesterday HERE). All you need to do is become a Facebook Fan of Huggies and then follow the instructions in their top status update – there will be a link to click on to print your coupon. Your post mentions the Target diapers deal ends on Sat (today). Yet, my target coupon does not expire today. Is there a sale at Target that expires today? I guess I’m just confused. Kayan-When I posted this, I didn’t know if the Target diaper price would stay the same or go up this week, but it looks like it is still the same for this week!